Every tacky sweater party needs a couple of old school snacks to pair with the retro theme. These 5 fun apps/drinks are throwback with a typical Cooktales modern twist. 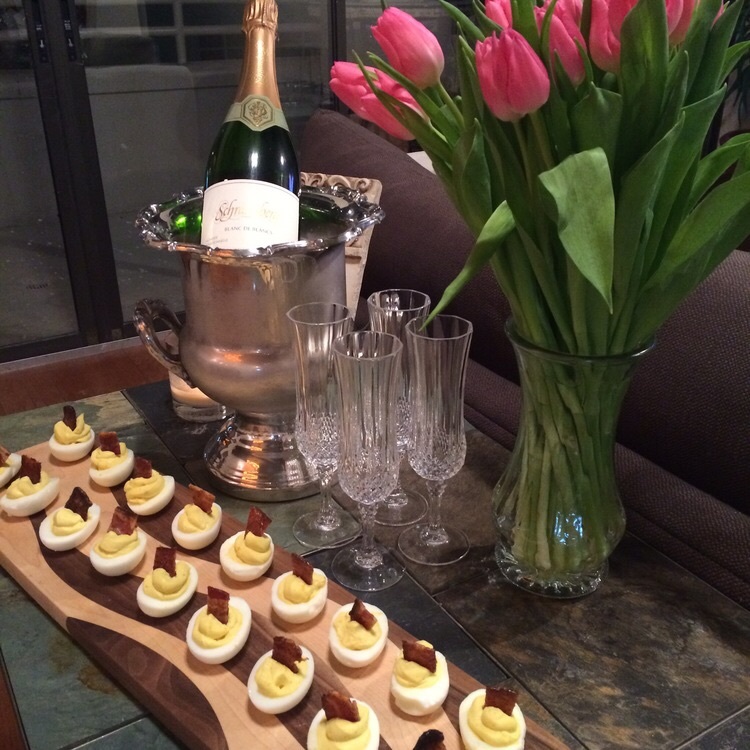 If you're hosting the party, make them all. If you're attending the party, bring one to share. 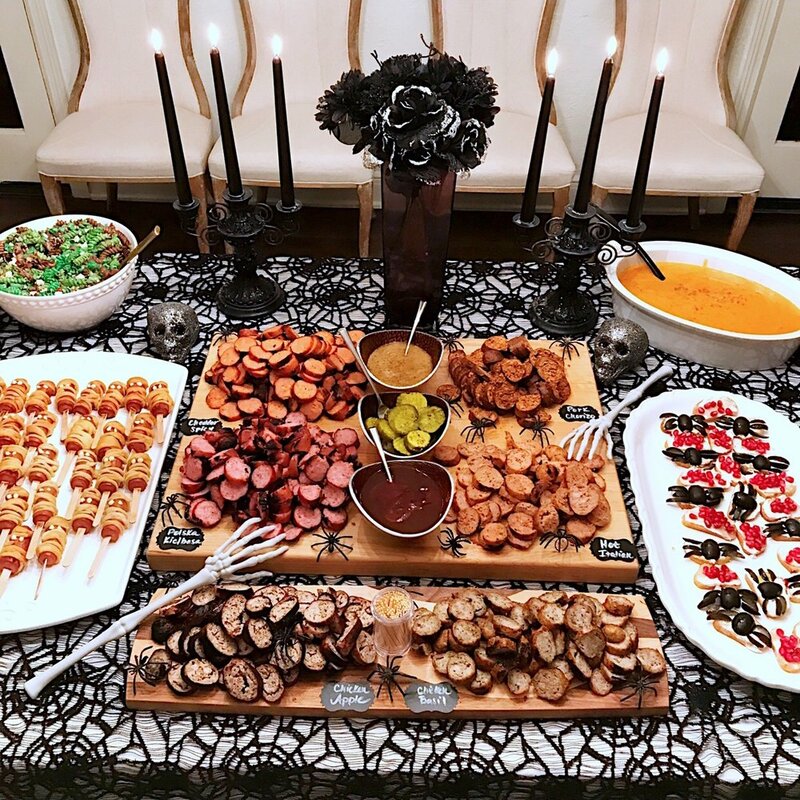 Some may seem a bit silly, but I would never have you eat something that doesn't taste fabulous - it's seriously against my nature and these party snacks are the real deal! It's hard to believe these jelly molds were all the rage some years ago, but here I am attempting to bring them back - ha! 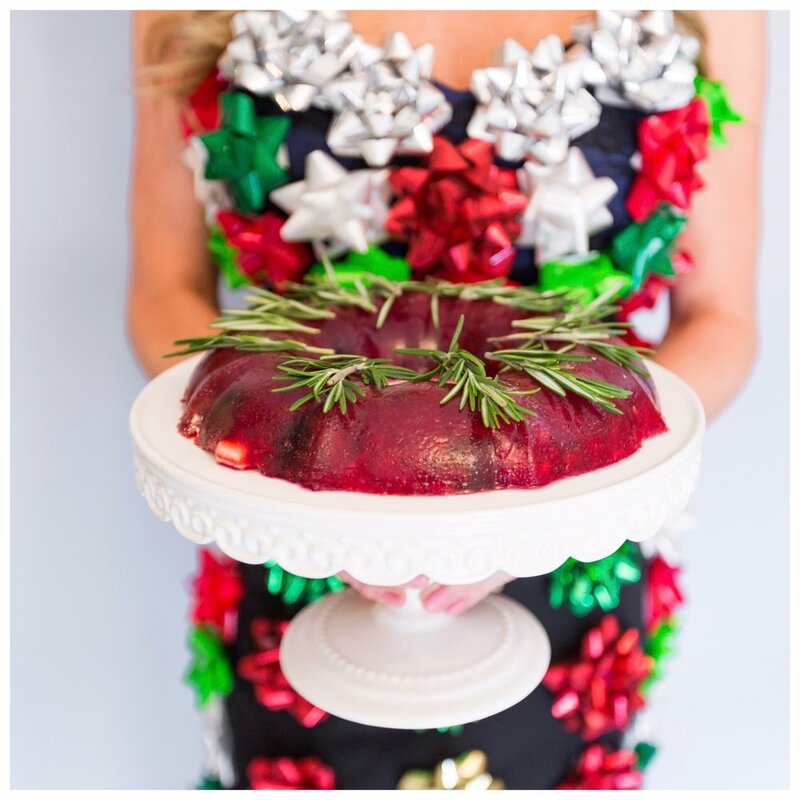 While this particular mold is fruity, booze-filled, and yummy, I really just see this recipe as something fun to have at your tacky sweater party. Or better yet, bring it as a hostess gift! It'll go right along with your silly outfit. Stir gelatin into boiling water until dissolved. Add the vodka, cherries, mint, and mix together. Pour into a greased bundt pan or circle mold. Chill several hours - overnight to be safe. Before serving, dip the bottom of the mold in warm water to loosen. Place a plate or cake stand over the top of the mold and slowly turn over. Garnish with rosemary sprigs. Cut into slices to serve. 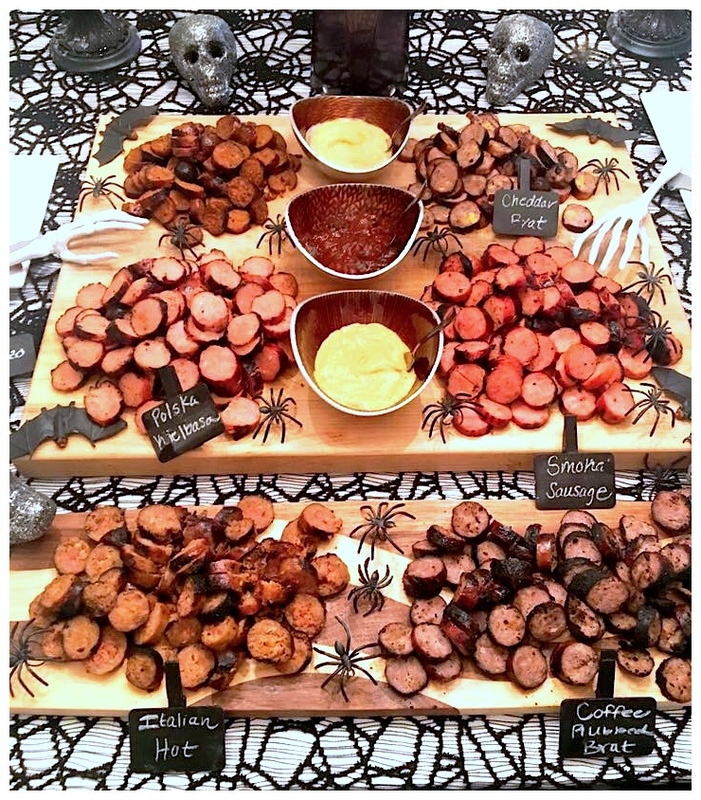 My pretties, THIS is the most witching cheese boards of all cheese boards: The Witching Fruit board.. #3 in the Top 5 Halloween Meat and Cheese Board Countdown (see the Darling Pumpkin Board and the Spooky Sausage Board)! It's complete with delicious creamy, light, crowd-pleasing cheeses and the most delightful fruit to pair. I can't even deal with how Halloween-glam this one is. How something can be stunningly elegant and disturbingly sinister at the same time, I don't know but this board does it!! I think the extra large antique-ish platter does it - I found it at Michael's! 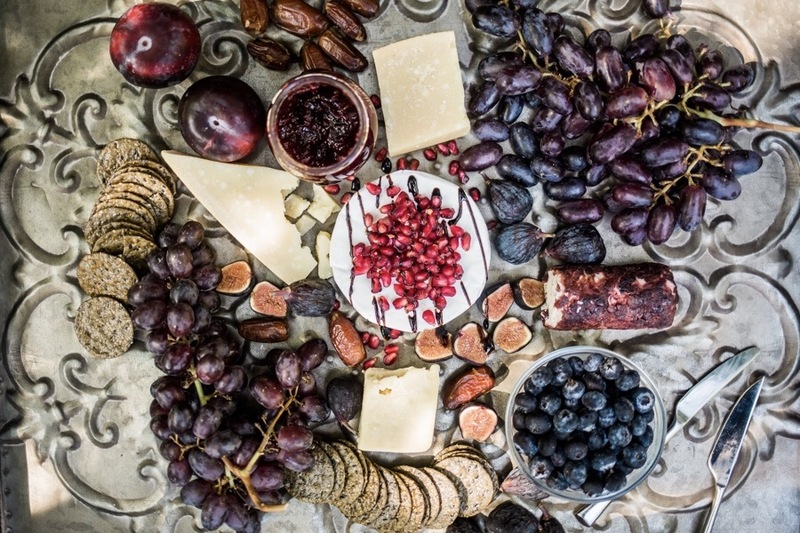 Have fun with this one - purple fruits, red fruits and all the best cheeses! Place the baked brie in the middle of the board. Cover in pomegranate seeds and drizzle with balsamic syrup. Arange the other cheeses, fruits, jam, and crackers around the baked brie. Serve. 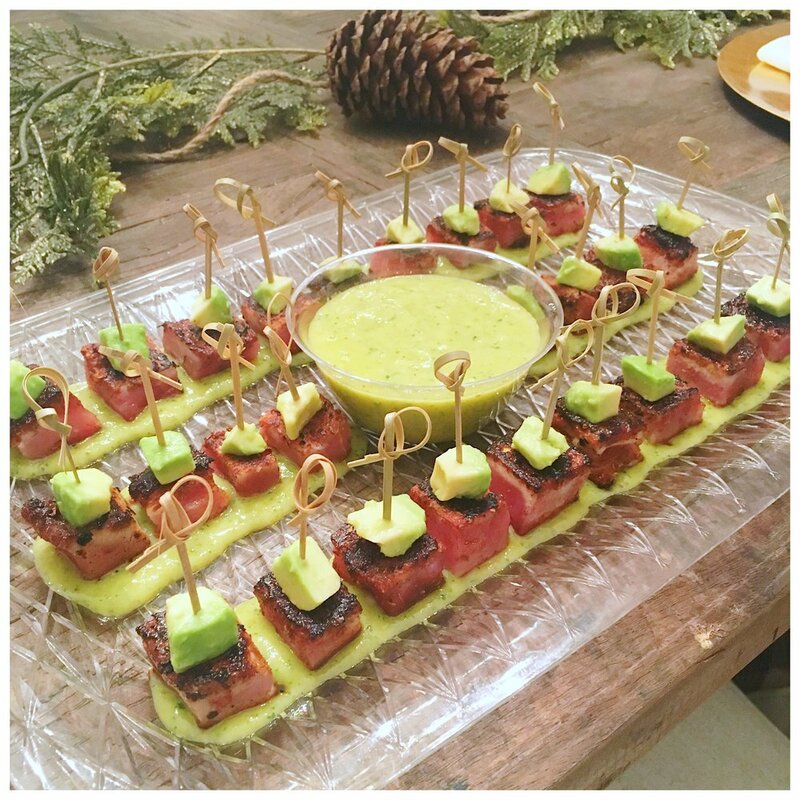 Dips are easy, they're fun, and people love them at parties - especially Super Bowl parties. 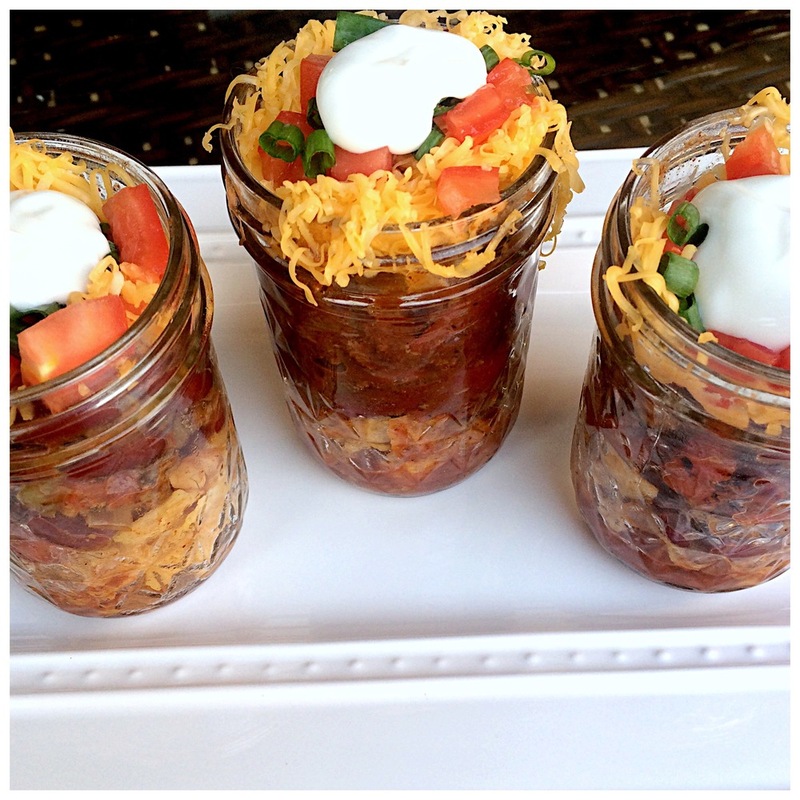 These 3 dips are literally the only dips you need at your Super Bowl party! A combo of hot wings and hummus - this dip is healthy and you won't be able to stop eating it. I can't say enough about this dip. Once you pop you can't stop takes on a whole new meaning. When I say this is the absolute best dip you'll ever eat in your life, I'm not lying. This dip is beyond. And it takes about 10 minutes to make! The fries are crispy, the dip is truffly and creamy, and your guests will flip over this appetizer! CHEERS TO A HAPPY SUPERBOWL!!! No matter how many times you've made them, I would bet you dread peeling hard-boiled eggs every, single, time. I mean... Am I right?! Even for a southerner who has made more deviled eggs in my time than I can even begin to imagine, I always dread when it's time to peel them. 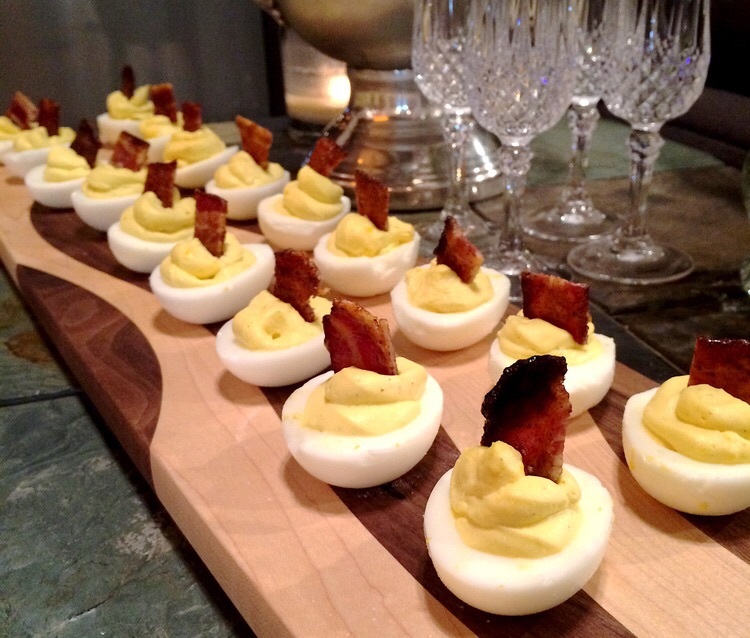 Luckily, I've had enough experience doing it (my TRUFFLE DEVILED EGGS WITH CANDY BACON are a top seller with my clients) that I've picked up a few must-do tips along the way. Follow these rules on The Perfect Deviled Eggs, and you'll dread making them a little less this Easter. Completely submerge in water, place over high heat on the stove, bring to a roaring boil for one minute, take off the heat, cover with lid, and wait 12 minutes. Transfer to an ice bath to slightly cool. Place them back into the pot with no water and shake the pot back and forth, cracking the eggs in several places. For the easiest to peel eggs: USE OLDER EGGS before boiling them. I cannot emphasize this enough, people. I have made thousands of deviled eggs in my life, and this is the #1 tip I can give for an easy-to-peel egg. Buy the eggs you plan to use a week or two before Easter. Nothing will ruin your holiday like buying eggs to boil the day before you make them. Trust me. Before beginning to peel each egg, tap the tops and the bottoms of them, then start peeling there - this is where you'll find the air pockets. Run your fingers along the air pocket once you find it. At this point, the shell should slide right off in one whole piece or a few large pieces. If the shell gets tricky to peel, dip the egg back into cool water and continue peeling (again, if you use older eggs, this shouldn't happen). For the smoothest smashed yolks, use a fork, and don't add any other ingredients until yolks are well-smashed. Rinse the egg whites and pat dry once yolks are removed. 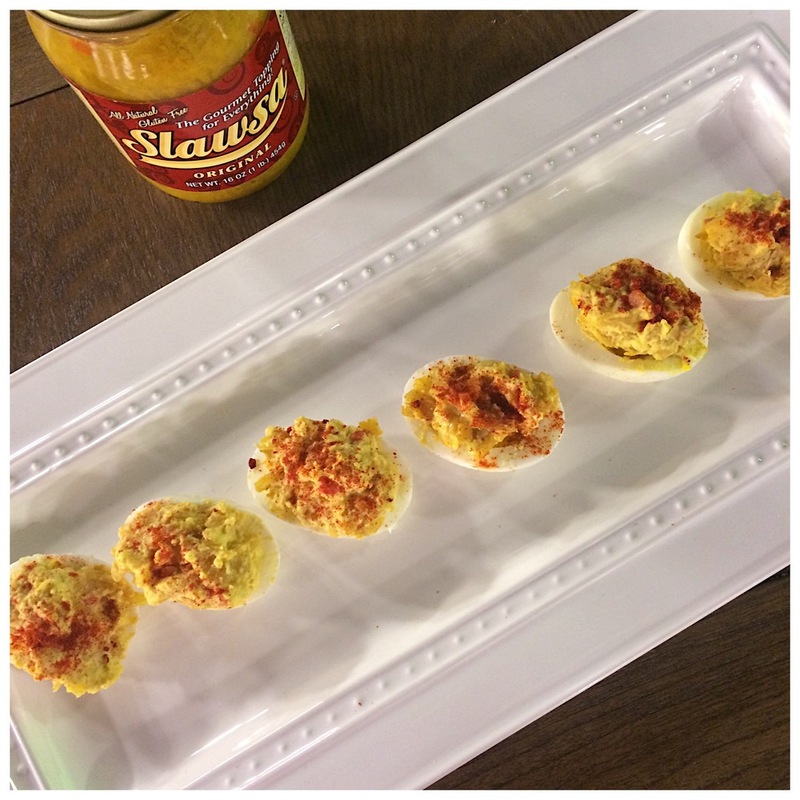 This makes for a cleaner, prettier deviled egg. Use a hand-held or stand mixer for an extra-smooth filling. Whip ingredients together until smooth. Make life easier by boiling the eggs and making the filling the day before, then refrigerate. I like to store my whites in an air-tight plastic container and my filling in a piping bag or plastic bag. On Easter Day, all I have to do is pipe the mixture into the egg - easy peasy! WHAT DO YOU DO WITH THAT?! Where I use unique but commonly found ingredients and teach you how to cook with them! 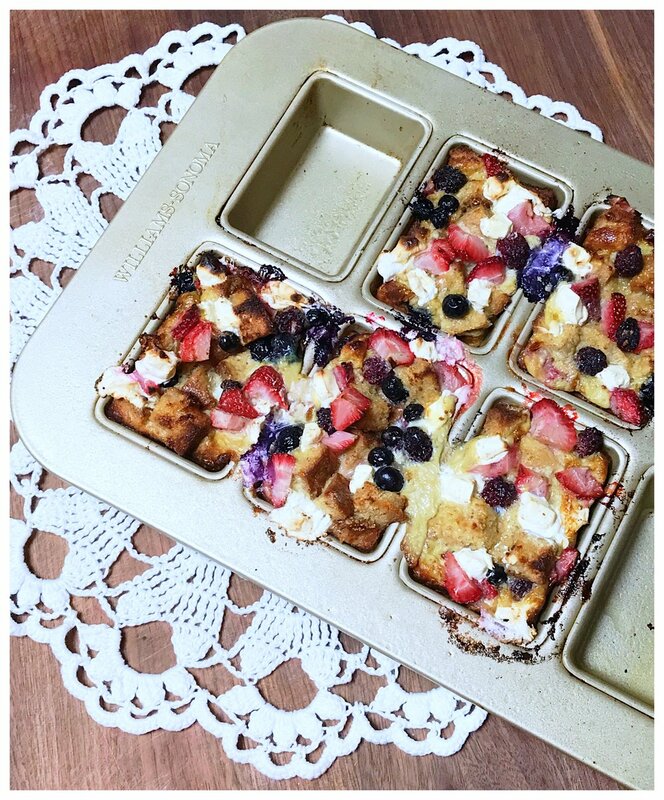 This week's ingredient is honeycomb! As weird (and maybe unappetizing) as these may sound, I'm gonna go down memory lane on this one and share a story with you. 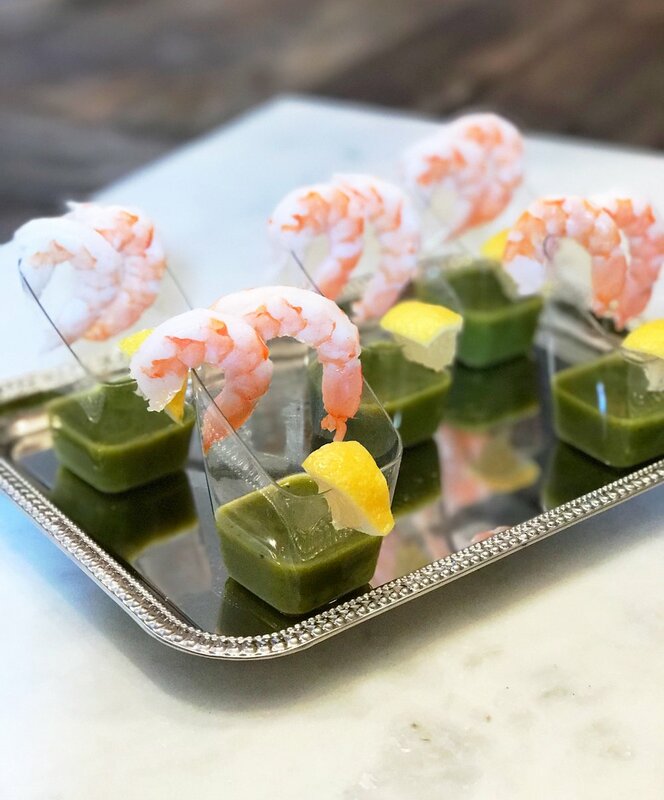 When I hated seafood and wouldn't touch it, my father-in-law had this appetizer at a holiday gathering. 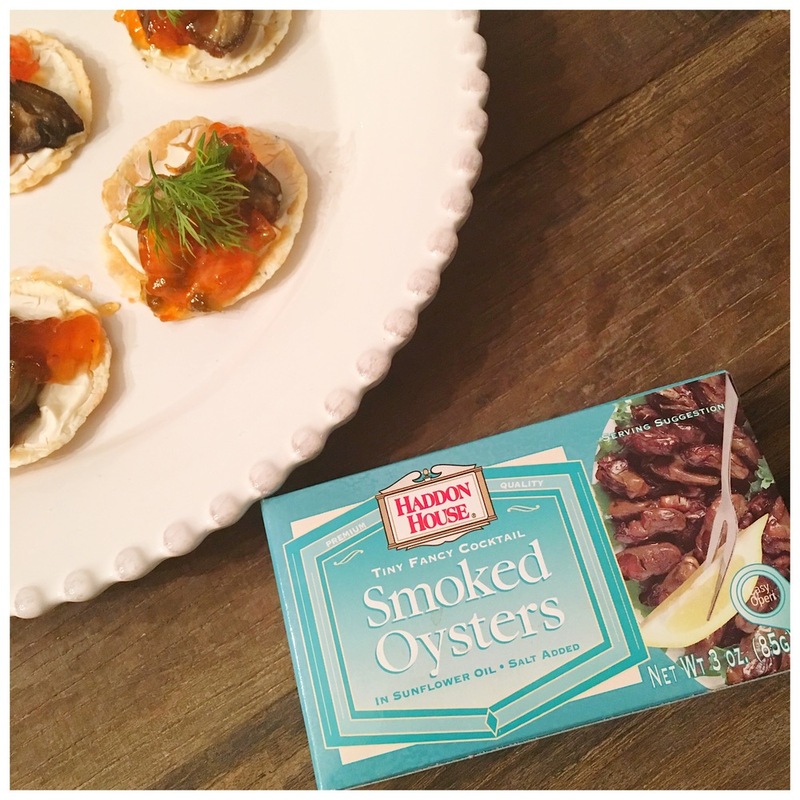 He is a crazy good cook - like one of the best - and Tres was able to talk me into trying these smoked oyster crackers. And guess what?! Little Miss Picky loved them! I've graduated from my picky stage (thank the good Lord above), and now I'll eat just about anything. But when I didn't think I'd ever like seafood, I liked these. And you will too! 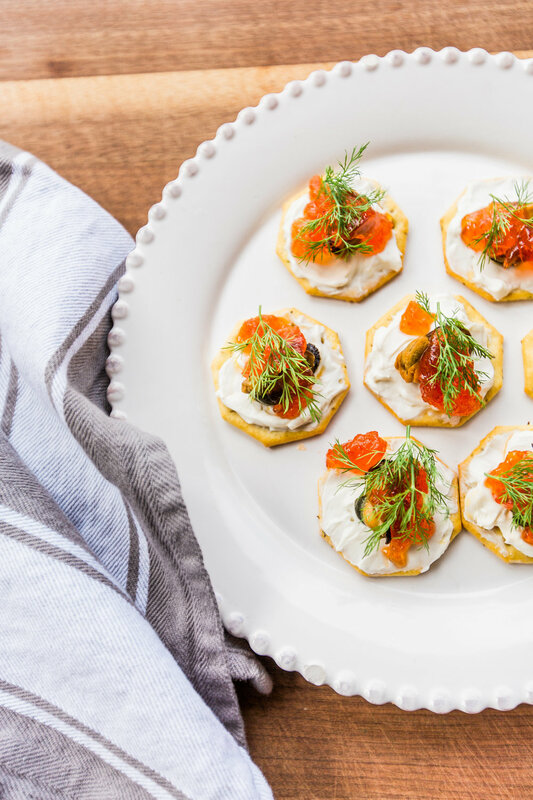 Spread a generous amount of cream cheese on each cracker and top with a single smoked oyster. If you don't have enough oysters for each cracker, cut larger ones in half to make extra. Spoon a large dollop of hot pepper jelly over each oyster. Top each with a sprig of dill and sprinkle of fleur de sel. Serve on a white platter for beautiful presentation. 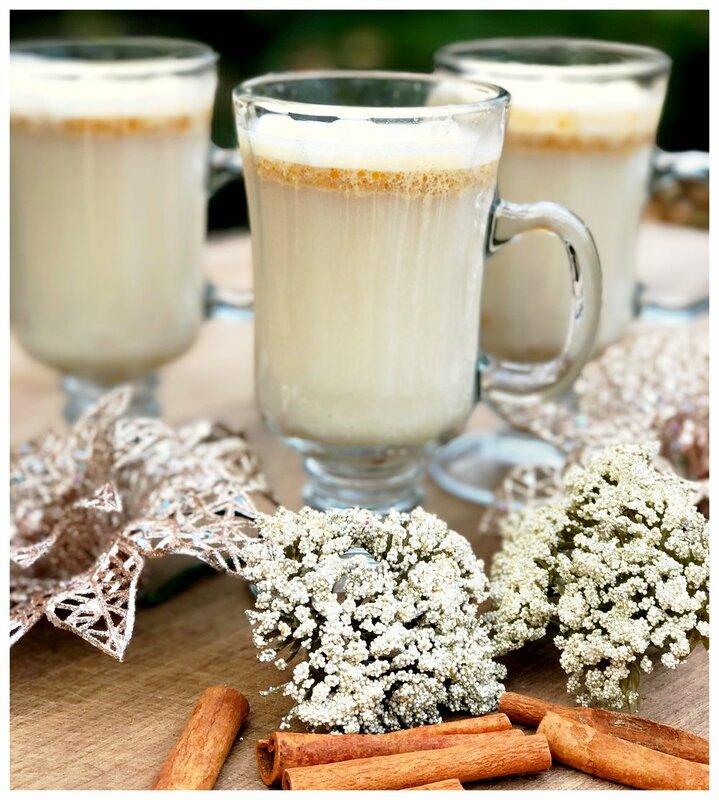 Drop by my blog every week to see an unusual, out of the ordinary, yet easy to find ingredient. I'll teach you about it, give you a quick flavor profile, and of course several recipes and new ideas on how to cook with it! This week, it's an ingredient that may scare you a little bit but it shouldn't because it's delicious! If it helps at all, the first time I had these I was the most picky eater on earth and refused to eat seafood. 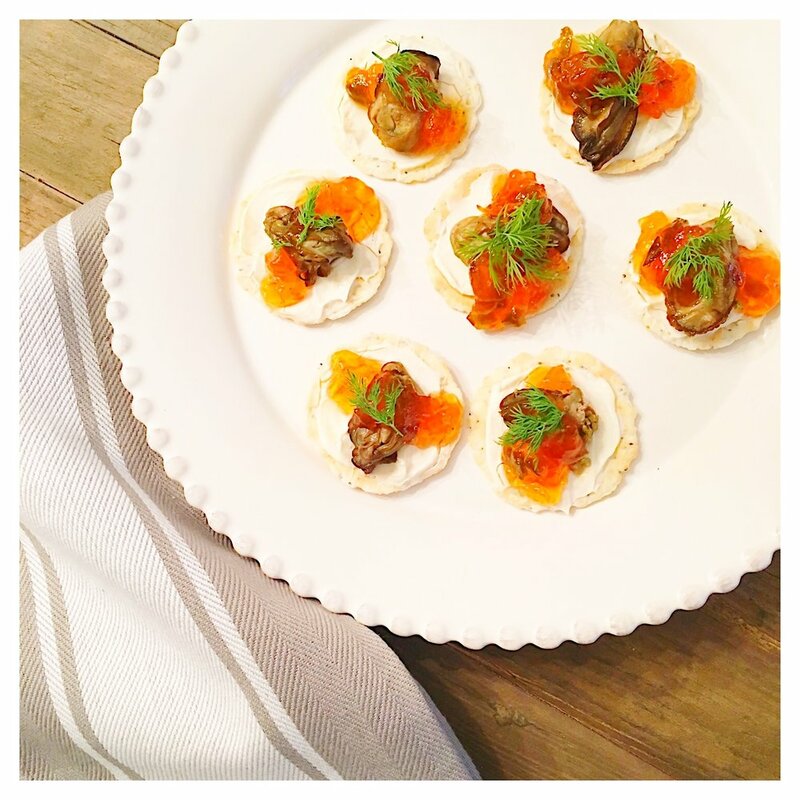 My father-in-law made the Smoked Oyster Cracker Bites appetizer, and Tres talked me into trying them. I'm not gonna lie: I loved it and it inspired my very first "What Do You Do with That?" post! They're at their freshest when packaged! Canned Smoked Oysters are usually steamed when they're fresh, smoked for extra flavor, and finally packaged in oil. They're easy to find! You can get them at just about any grocery store in the same section as canned tuna and crab. They're affordable! They are anywhere from $2 to $3 for a small can that will have anywhere from 20 to 30 small oysters in them. They're a lovely way to eat "rich" on a budget! They're just so darn fancy looking, and they have that slight fishy taste that makes you think of caviar. Now, let me get this straight, they are NOT the flavor of caviar, they just can be served similar and have that slight "ocean" taste. You can do almost anything with smoked oysters that you do with any seafood. Try them in your seafood stew or soup the next time you make it. Replace your crab or tuna dip with a smoked oyster dip. Try them on a crostini or as a replacement for any basic oyster recipe. Or maybe do your next Oysters Rockefeller or Oysters Bienville dish using them! Growing up in Knoxville, Tres was destined to be a Tennessee fan. He received his Undergrad and MBA degrees from there, and hasn’t stopped rooting for them since! When we started dating, I had no choice but to jump on the Vols bandwagon. We try to attend at least one game a year together, but if we aren’t in Knoxville, you can find us surrounded by friends at home watching the game. Usually it’s everyone in front of the TV and me cooking… exactly how I like it! I love little bite size snacks that go good with cold beers, and this smoky grilled cheese is such a winner! 1. In a sauté pan over medium heat, fry the pancetta until extra crispy and set aside. 2. In a stand mixer or using a hand-held mixer and a bowl, add the cream cheese, smoked cheddar, Monterey Jack, pimentos, pickle relish, garlic powder, smoked paprika, cayenne, and a dash of kosher salt. Beat together on low until the mixture starts to come together. Then increase the speed to high and slowly add the mayo until it is the consistency you desire. 3. Heat a large sauté pan to medium-high. Using large biscuit cutters, cut out one round from each slice of bread. Build the sandwiches by adding a large spoonful of the pimento cheese mixture to 10 slices of the cut out bread. Top each with one slice of pancetta then close the sandwiches with the remaining 10 pieces of cut out bread. 4. Butter each side of the sandwiches and put into the sauté pan. Lightly smash the sandwiches down with a spatula as they cook. Flip after about 2-3 minutes or when the bread is light brown, toasty, and the cheese starts to melt. Cook on the other side for another 2-3 minutes. 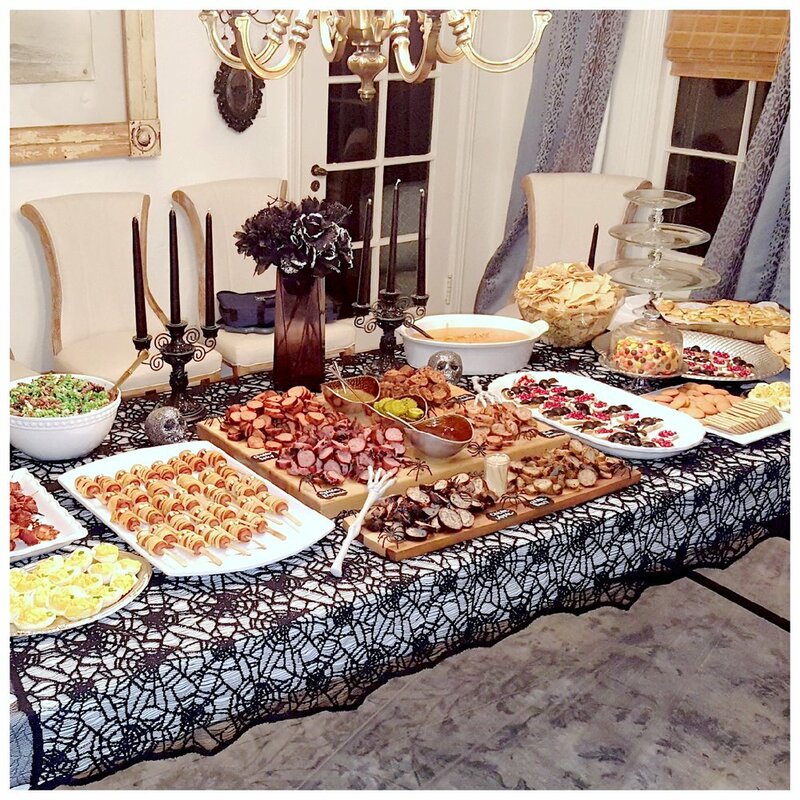 Put on a platter and serve!